I published a short post on LinkedIn about a structural challenge in renewable energy, specifically energy storage. In summary, advanced energy storage has been in development for decades now, yet we are still seeing non-economic deals and demonstration projects. I’ve written before about the information asymmetry in this industry and while opportunities can abound under such a scenario, in this case, it is limiting opportunity. It is well past the time to fill-in the information gaps that exists on both sides of the energy storage developer-finance relationship so that we can accelerate commercial deployments of battery systems and other promising emerging energy technologies. 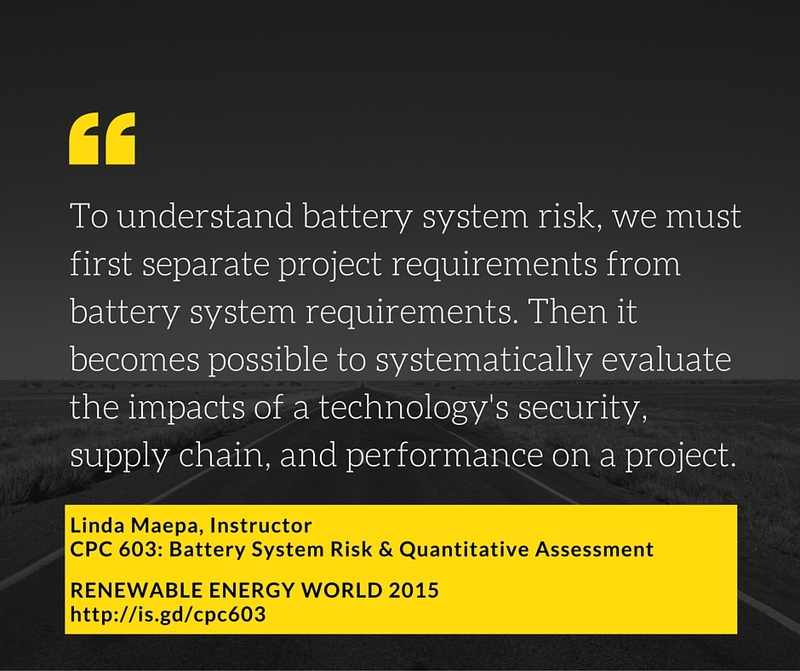 In the battery sector, bridging the information divide means developers and financial decision-makers need to candidly address performance, technical risks, and the economics of battery systems in language that is accessible and actionable by each party. For this reason, I have spent much of my time recently as a technologist wading into the deep waters of finance. Please share this post (and the class info) with anyone you believe would benefit from this course!